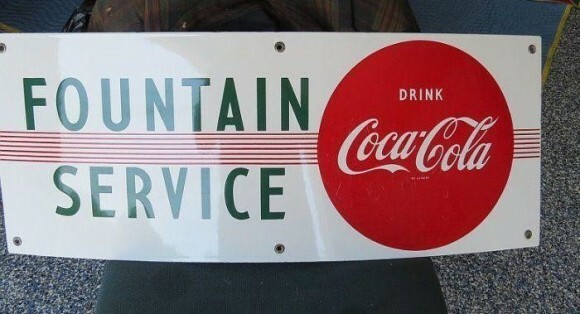 This 11″ by 29″ sign was clearly done in a different time period than some of the other Coca-Cola advertising signs. This sign is mainly white with green and red highlights throughout. The sign reads “Fountain Service, Drink Coca Cola.” There is a large red dot to the right of the sign. There are mounting holes on all sides.